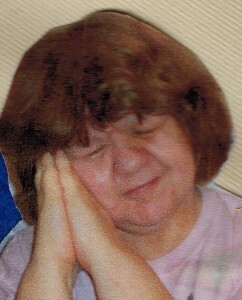 Cindy Jo Fredericks, 60, a resident of Cambridge Warren and formerly of 57 Cobham Park, Warren, PA. died at 12:56 A.M., Saturday, July 07, 2012 after a brief illness. She was born in Warren, Pa. on September 20, 1951 to the late Leroy R. and Joanne Highhouse Fredericks. She has resided her entire life in Warren and was a 1969 graduate of Warren High School. She was employed as a inserter with the Warren Times Observer and previously with the former Hadden Grocery Store for many years. Cindy was a volunteer and dedicated supporter, spending countless hours at the Animal Rescue Shelter and Warren General Hospital. She was an animal lover, enjoyed playing bingo and shopping. Cindy is survived by 3 Siblings – Tom Fredericks and wife, Darlene, Mike Fredericks and wife, Kelly and Le Ann Waterhouse all of Warren, PA., several nieces and nephews and extended family of Cambridge Warren, who greatly adored and loved her, she was the center of their lives. My thoughts and prayers to Cindy family. Cindy was a classmate of mine 1970. Words don’t really express how we feel about the loss of Cindy to our family. She will always be remembered for her sweetness. Please know that our hearts are with all of you. I send you my sincere condolences on the loss of your sister and friend. Cindy was lucky to have you as her family. She will rest in peace now. May you all be comforted that she is in a better place. I worked with Cindy at her residence and she touched my life in many ways. She was the “Sunshine” of whatever activity she was involved with. I will miss the sound of her laughter when playing cards with the “ladies.” She will never be forgotten! My prayers and best wishes to you and yours. GOD Bless!